Go through Aurora and continue west on US 50. Home will be on left. 1963 Ranch looking for a new owner. 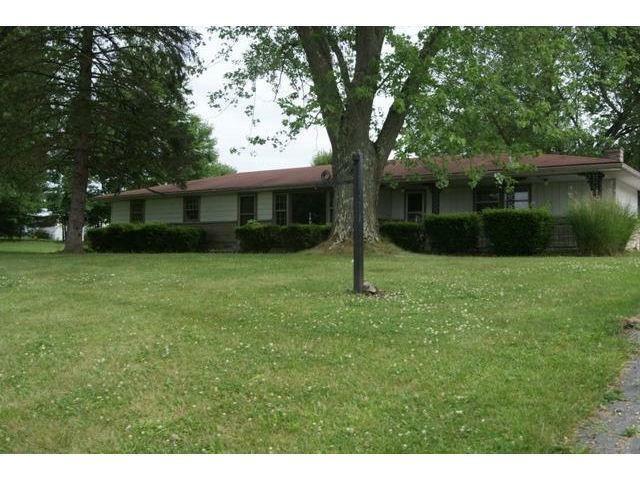 The home sits on a large 0.8 acre lot with mature landscaping. It offers 3 bed, 1.5 bath, with over 1850 square feet of living space, and an attached garage. Step inside to find brick feature wall with fireplace, wall to wall carpet, and comfortably sized bedrooms. The eat in kitchen has a good layout. CASH ONLY. This listing courtesy of Val Laborevitch +1 (888) 876-3372, Owners.com 888-876-3372.